The dispensary at Hemyock is closed between 13:00 – 14:00 each day. At the above times it will be possible to contact the surgeries and collect medicine. There will not necessarily be a doctor or nurse on site at all times. If you need to see a doctor or nurse, please always contact the Practice by telephone to make an appointment. The whole Practice occasionally closes during the afternoon for training. All such closures are widely advertised in advance and cover is provided by Devon Doctors Ltd. 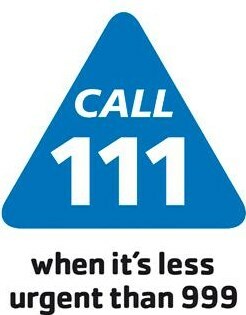 If you require urgent medical assistance or advice outside of normal surgery hours please call 111. The 111 service helps people access the most appropriate health service when they have an urgent (but not critical or life-threatening) need and they are not sure where they need to go. This service is run by the South West Ambulance NHS Foundation Trust (SWASFT). It is available 24hrs a day, 365 days a year. Calls to the 111 number from landlines and mobile phones are free (although you will need 1p credit on your mobile phone). If you call 111 you are assessed by trained call handlers supported by clinical staff where necessary, advice may be given or you may be directed to a local service that can help you e.g. A&E, a Minor Injury Unit or an out of hours doctor. If it is decided that an ambulance is in fact required, this will be arranged or they may recommend you go to. Click here for more information about accessing urgent help when the surgeries are closed.